Holiday cottage (3 ears) within our old ouse of character of 1870, which welcomes you and offers you its big landscaped garden (flowers, aromatic plants, orchard) and its swimming pool. 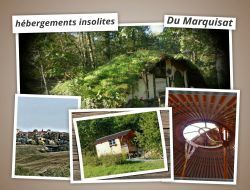 Between Toulouse and Pyrenees, in the countryside, come to discover the diversity of the activities and the landscapes. In 5 min by walk from the center of the village and of its conveniences (restaurants, shops). 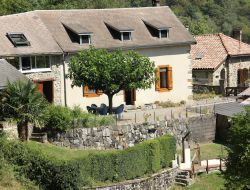 Holiday cottage at the heart of Pyrenees, a real relaxation environment : a former renovated barn. A significant number of activities nearby: ski, hikes, mountain bike, cycling, fishing, canyoning, paragliding, speleology, a unique place for deer squalls (in September, October). Free WIFI access. 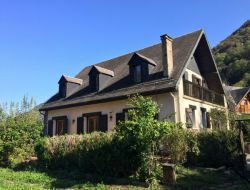 Large cottage (8 to 10 people) chalet spirit in the heart of the Pyrenees near Luchon. 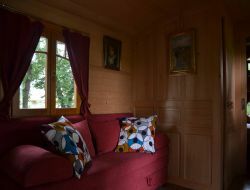 We welcome you in this very beautiful self catering apartment entirely renovated in the center of Luchon. Ideal for your holidays or thermal cures (weekly or weekend rental). You will be amazed by the number of diverse activities for all ages, all levels and all seasons. Luchon is a village known for its thermal baths, pleasant strolls summer and winter, the history of the village and gastronomy. Located in the department of Haute-Garonne, this spa town will bring you plenitude and well-being. 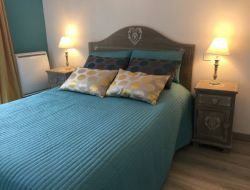 Our holiday village located in a park of 5ha offers seasonal rentals of 2 to 4 rooms, which can accommodate up to 6 people, some of which can accommodate people with reduced mobility. Unusual stay in gypsy caravans pulled in a kindling in the middle of oaks, out of sight and in perfect harmony with the nature. Swimming pool, gaming room, bikes, hiking trails, fishing nearby and many places to be visited so magic as historic. To you to choose if you will lunch or will have dinner in your terrace, or in our table d'hôte. 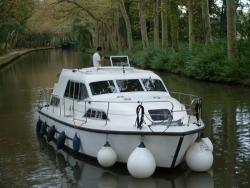 Hire of boats on Canal du Midi, starting from Toulouse. Boats for cruise for 2 to 8 persons ... Choose the boat you need in a wide confort range. In the middle of a meadow surrounded by a beautiful forest that we welcome you to the yurt (5 people) or in the gypsy caravan (2 people) sunlight and dry toilet. Possible ride with our donkeys and llamas. Reflexology session on site. 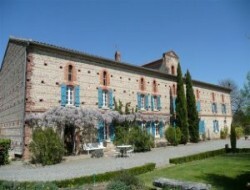 Rentals located near Toulouse, the Gers and many villages to visit.